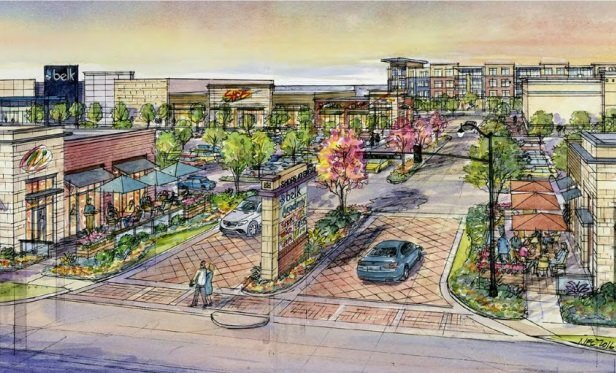 More tracts, pads and outparcels are in the works for a power center, the Shops at Broad, in this rapidly growing city of Mansfield that is part of the DFW metro area. The 193,825-square-foot Shops at Broad is to be developed on 58 acres at 1701 East Broad St.
MANSFIELD, TX—A power retail project, the Shops at Broad, is moving forward just as two adjacent commercial pads opened up in this rapidly growing city that is part of the Dallas/Fort Worth metro area. The pads are a retail center anchored by At Home and Academy Sports, and a public ice rink affiliated with the Dallas Stars called the Star Center. A third adjacent tract is being developed with a 330-unit class-A apartment community. Fieldhouse USA is already in place in a contiguous location.